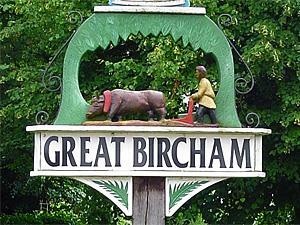 Great Bircham01485 532610work VillageJust outside the village is beautiful Bircham Windmill. Visitors can look around the mill, climb to the top of mill tower, enjoy the tea room, see all kinds of animals of take home some fresh baked cake and bread. Cycle hire is also available. The church of St Mary and churchyard are part of the Royal Estate at Sandringham and stand at the junction of the road from Syderstone, Docking and King's Lynn. During the 1939-1945 war the churchyard was used for the burial of airmen from the Royal Air Force Station at Bircham Newton, service dead whose bodies were washed up by the sea and German airmen brought down in the Battle of Britain. Just outside the village is beautiful Bircham Windmill. Visitors can look around the mill, climb to the top of mill tower, enjoy the tea room, see all kinds of animals of take home some fresh baked cake and bread. Cycle hire is also available. Being around 15 miles from King’s Lynn and 10 miles from Hunstanton, Great Bircham is ideally situated for exploring West Norfolk with many fine attractions on the doorstep. It is also well located for enjoying the outstanding birdwatching sites around this part of the beautiful coast.